Singer songwriter Chris Rea collapsed on stage in Oxford Saturday night. Rea was 35 shows into a 37-date tour performing at the New Theatre in Oxford when he collapsed on stage. The show was immediately cancelled and Rea was taken to a nearby hospital where his condition is described as “stable”. Chris Rea rose to fame in 1978 with his debut album Whatever Happened To Benny Santini and the hit song ‘Fool (If You Think Its Over). 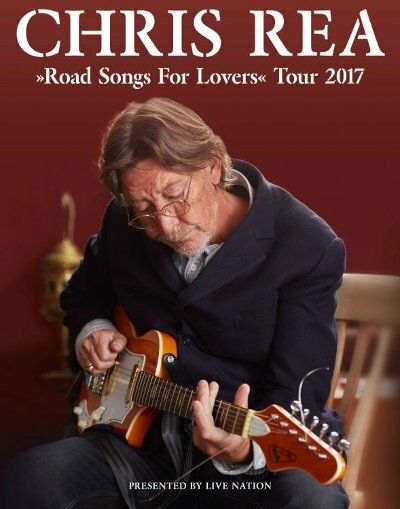 ‘Diamonds’ was also a global hit for Chris Rea in 1978 while his big Christmas hit, ‘Driving Home For Christmas’, makes the British Singles chart almost every year.